This is my first post of our new column so I decided to start in style. Ladurée… the echo of this brand is called luxury. Of course, I’m talking about the worldwide known French pâtisserie maison founded by the miller, Louis Ernest Ladurée, in Paris at the end of the 19th century. I’m sure all of you are more than familiar with les macarons, Ladurée’s most famous creation: those small, round mini cakes, crisp on the outside, with a smooth filling in the middle, that can satisfy even the more sophisticated palate. When you buy a box of those sweet masterpieces, you are buying much more than dessert. You are buying an icon. Let me tell you a story to prove my point. Anyway, he dragged me into one of the Ladurée stores in London where we waited for quite a while (it was Friday late afternoon and the store was very busy) before reaching the most beautiful and chic pastry counter I have ever seen. Obviously, my client knew exactly what he wanted (those kind of men always know what they want!) He picked a huge green box, gorgeously decorated, and selected the macarons that would determine his destiny, flavor by flavor. As we were leaving the store, I noticed that the people with the unmistakable Ladurée green bag were as thrilled as those people who carry the equally unmistakable Tiffany’s blue bag. Their face was saying “I bought something very, very special and I feel great about it”. Needless to say, a few days later my client called me to tell me that he had made the deal and it was time to get to work. What I didn’t know back then is that Ladurée is much more than macarons. Beside the legendary sweets (cakes, pastries and chocolates), they have the cutest shopping bags, one of the most elegant beauty collections, a candle collection to die for, a home fragrance collection I can’t wait to try and… books. Well, Ladurée books are really the subject matter of this post. I know it took me quite a while to get to the point, but here we are. Ladurée books are not regular books. When you see the marvelous powder pastel boxes these books come in, you know that you are in for something special. You stand there in astonishment and just the boxes can send shivers down your spine. 🙂 Then you open the boxes and, through the tissue paper that wraps all Ladurée books, you sense the luxury and the richness of the covers. When you finally pull yourself together, get the books in your hands and start flipping through them, you are instantly in heaven. The two must-have Ladurée recipe books are Sucré (Dolce in the Italian version) and Salé (Savory in the English version). Sucré unveils the pastry secrets of Ladurée Chef Pâtissier, Philippe Andrieu, from the financiers to the rose cream bigné, the crème brûlée, the éclairs and… les macarons, bien sûr, in all their flavors: incredible recipes presented with an impeccable food styling and exquisite photography. The book also contains the indispensable basic pastry recipes, i.e., those recipes that any baker or pastry chef should perfectly master before daring call themselves as such. Salé is the cooking gem of Ladurée Chef de Cuisine Michel Lerouet and the natural evolution of Sucré because most of the recipes represent the perfect marriage of sweet and savory in the French gastronomy. The book is divided by occasion: brunch, picnic, lunch, formal and informal dinner. Every occasion is an apotheosis of colors and flavors, from sandwiches to salads, soups, eggs, as well as meat, fish and seafood appetizers and main courses, all immortalized by lovely photographs. Not to mention that lots of the recipes are accompanied by tips of Monsieur le Chef, which is something that makes those recipes even more precious. If Sucré and Salé are books that I think every cook on the planet should own ;-), l’Art de recevoir is a book that anyone, I repeat, anyone should have unless, of course, they live on a deserted island! Once again the book is divided by occasion: ten moments of the day (from breakfasts to family lunches, picnics, afternoon teas, buffet dinners and formal dinners) for which la Maison offers menu ideas and stylish recipes (with the essential chef’s tips), advice and suggestions on how to create elegant table settings and decorations as well as flower arrangements and, last but certainly not least, mini-lessons of savoir-faire. Every page of this book exudes French elegance and style. The china, the glassware, the silverware, the tablecloths, every decorative object used in the settings are stunning and captured by gorgeous photographs. As the book says, “Très chic, Très Ladurée“. I suggest you put l’Art de recevoir on your wish list keeping also in mind that this book is the perfect gift for anyone, including those not so crazy about cooking, because everyone aspires to be the perfect host or the perfect hostess and I think no one can resist Ladurée’s allure. Unfortunately for my American friends, the one and only Ladurée store in the United States is in New York – where else could it be? 😉 However, if you do not live in the city that never sleeps or close by, do not despair: you can still buy these wonders online on amazon. On the other hand, if you live in the City or you happen to be there, make sure to make time to stop by their store on Madison Avenue (again, where else could Ladurée’s store be but the most chic of Manhattan’s Avenues?) because when you push the door it’s like teleportation: in an instant you’ll find yourself in Paris! Is there anything better than that? 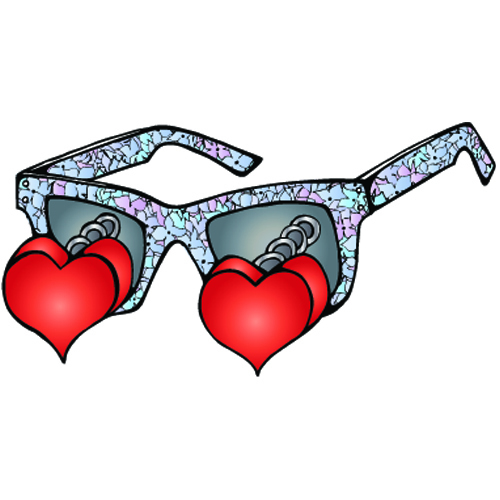 PS: do you like my new flower glasses icon for this column? Isn’t that gorgeous? This new icon as well as all the illustrations on Flora’s Table are the artwork of our super talented friend, Alexandra Dichne. Alexandra is in the process of finalizing her soon-to-be launched blog. Of course, I will write a post about it as soon as her blog goes live, so stay tuned! This entry was posted in Stuff We Like and tagged book, cooking, Creativity, cuisine, dessert, entertaining, etiquette, food, French, hosting, Inspirational, Ladurée, lifestyle, recipe, style on March 11, 2013 by Francesca. Oh how I love Laduree. Thank you for this gorgeous post. As much as I love the macarons, I love the atmosphere even more. It’s the kind of beauty you only find when so much time and commitment have been poured over one simple thing—a sweet bite. Glad I managed to write about something you didn’t know because I learn something new every time you publish a post. This was just such a beautiful post with so much great information! Next time I am in New York I certainly will have to shop at Laduree! And I do like your pretty glass by the way! Thank you, Lisa. Let me know how you liked it. I have been so busy with school that I’ve had very little time to blog, much less catch up on my blog reading…this one transported me directly to Paris–enjoy! I have Savory and it was worth every penny my husband paid for it! I can only speak from the London experience but they are very special, I like to give them as gifts and love to receive them, keeping the boxes as they are so beautiful. Although, I have noticed lately that the boxes are not as sturdy. I enjoyed reading your Ladurée post. Obviously your client made a good choice! Right! And there is absolutely nothing wrong with it. 🙂 Anatoli, thank you so much for your kind comment. Francesca, how can it be that I have never hear of Ladurée?! What a wonderful (and in my case educational) post! I’m visiting NYC this spring and will now have to add this to my list of things to do! I was a teenager when I discovered Ladurée: some American friends came to visit (I was still living in Paris) and took me there after lunch! The shops are really beautiful, and their macarons are truly delicious (now that I know more about Ladurée, my favorite shop in Paris is the smaller one near Boulevard Saint-Germain, with the Chinese tea salon decoration, there aren’t as many people, and it is smaller and more intimate). I once even attended a wedding in the Champs Elysées Ladurée, and that was quite amazing, I will NEVER forget the food we had (and the most elegant wedding). I have seen the books in our bookstores here, but never even dared to open them and look inside; they look to beautiful to be touched. Perhaps next time, I will, now that you have made them sound more like “real cookbooks”, and not “works of art”! Francesca, you transported me to lovely Paris for a few minutes while I wait to pick up my daughter from school. Thank you!!! Thank you, B. L’Art de recevoir is totally a book for people in love with impeccable taste like you. 🙂 Can’t wait to hear what you think. -What an elegant post, Francesca! I like your new flower glasses icon for this column! Ladurée sure has a classy/smart website. Thank you for sharing your story. -Your friend, Alexandra Dichne, sure is super talented artist. ooh la la Francesca! you are so right, there is nothing better than Paris! I LOVE your new flower glasses, and photos and illustrations and everything!!! Now you have me pining for Paris again…:0))) cheers! k.
What a beautiful post and lucky me since I am in Brooklyn, a stones throw from the city. I ashamedly admit I have never visited the NYC shop but after reading your gorgeous post, wiping drool and adding everything to my wish list I will be visiting there very soon. Oh and yes the eyeglass icon is gorgeous!